These felted mittens are so soft and warm. 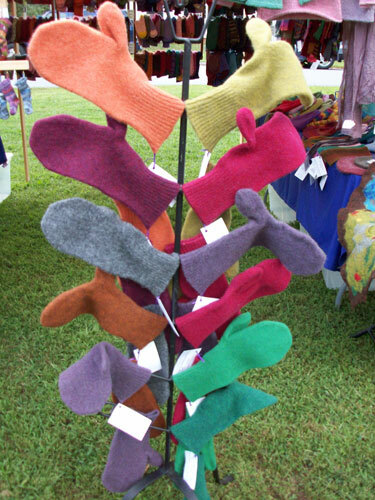 Knitted then felted to create a fabric that is warmer than plain knitting. Felting also deepens and enriches the color. I make thumbless baby mitts, children and adult sizes with a cuff long enough to cover your wrist snuggly or the cuff can be rolled back. Machine wash lukewarm, dry flat.